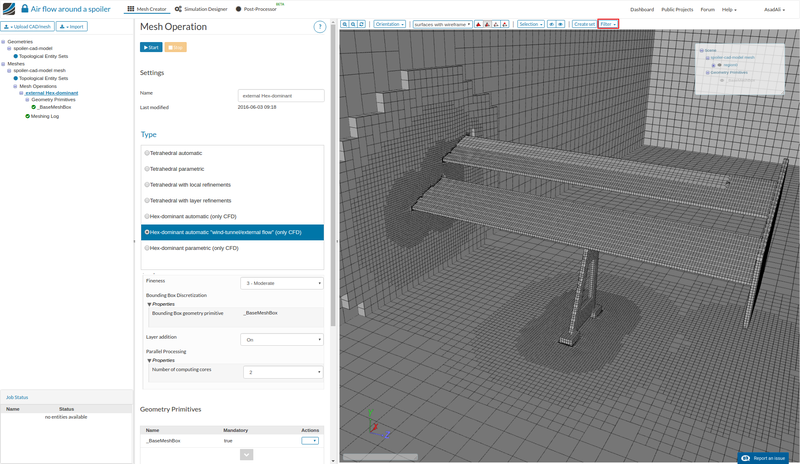 This short tutorial shows how to create a mesh using the automatic Hex-dominant for wind-tunnel/external flow for the analysis of flow around a spoiler. 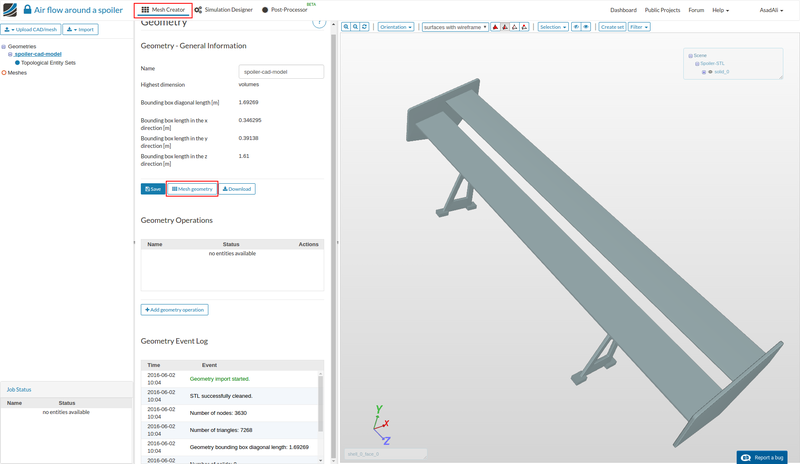 Geometry can be uploaded by drag and drop or can also be directly imported from Onshape. For this tutorial, you have to import the tutorial project into your ‘Dashboard’ via the link above. 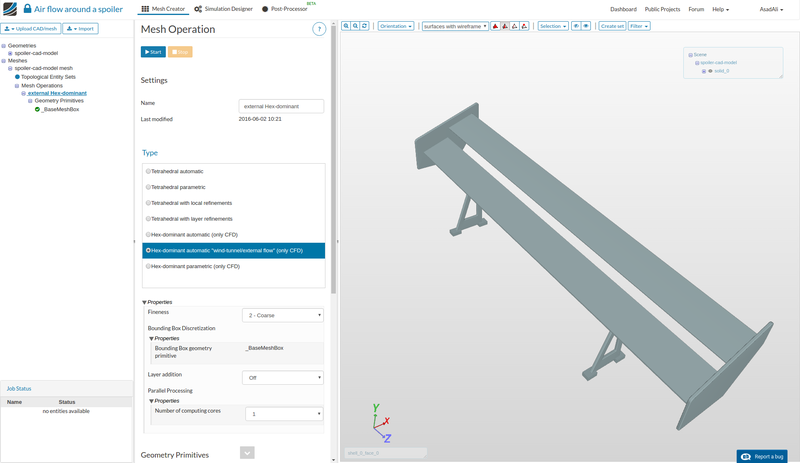 Once imported, the ‘Work bench’ is open and you will be in the ‘Mesh creator’ tab. 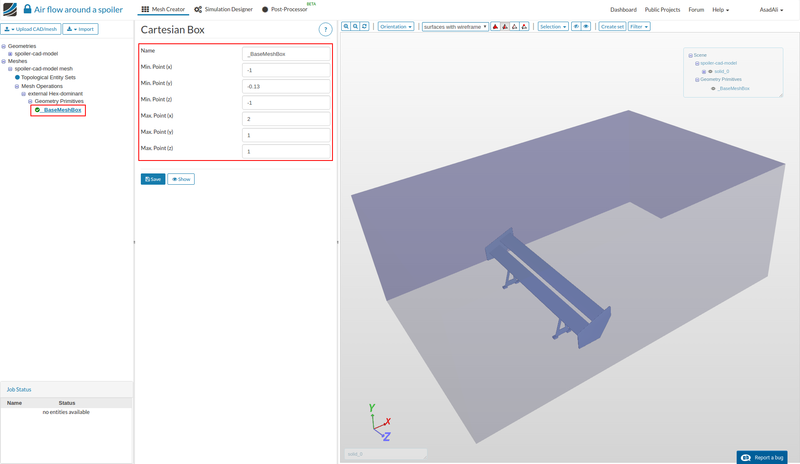 Click on the CAD model to load the model in the viewer. Click the available geometry. 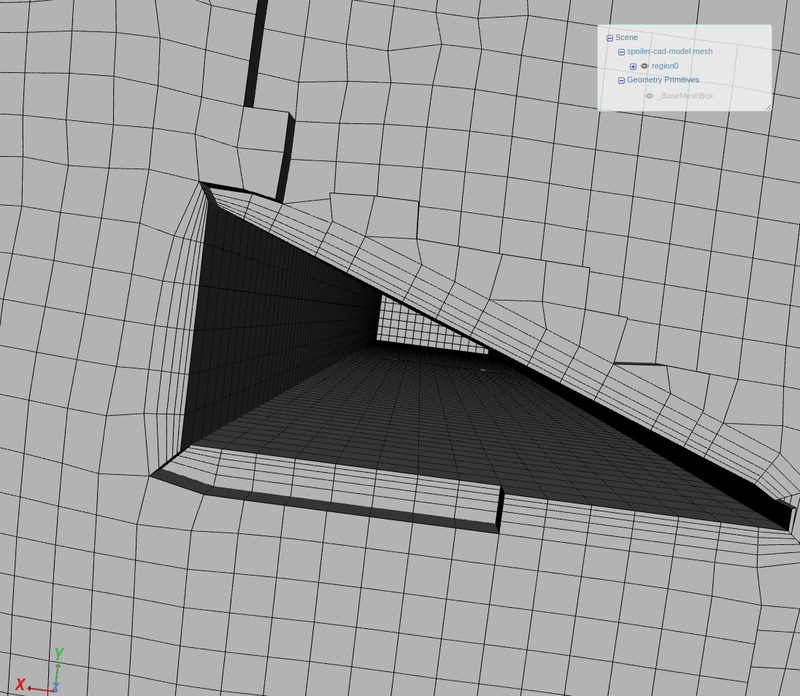 Then click on “Mesh Geometry” button in the options panel. 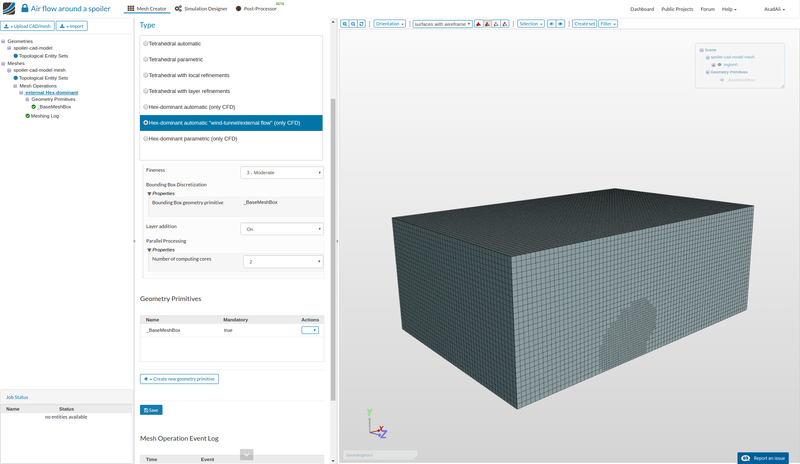 Select the mesh parameters according to the problem. Fineness increases the mesh quality at the cost of increased mesh size and computational time. Use layers addition to add layers at the geeometry boundary for better mesh resolution near the boundary. 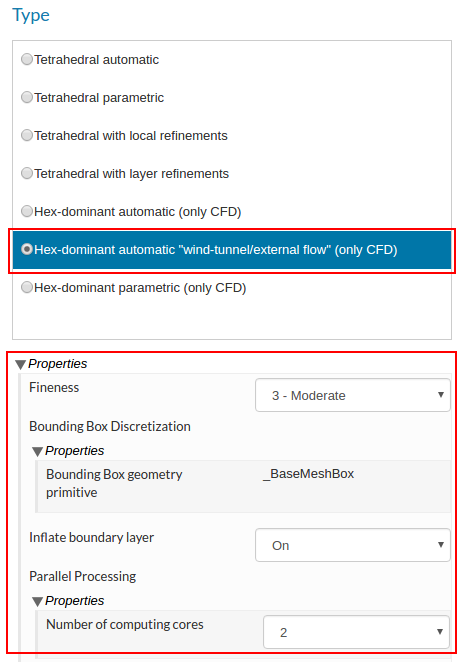 Adjusting the baseMeshBox – this determines the size of the flow domain around the object. For demonstration purposes, we choose a very small one. For external flow cases the flow domain (baseMeshBox) should be 2-3xL upstream, 4-6xL downstream and 2-3xL in the cross-wind directions from the object. Here ‘L’ is the body length in the flow direction. 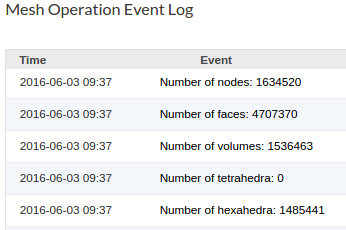 The event log shows exact quantities of the resulting mesh. In this case generated around 1.536.000 cells.